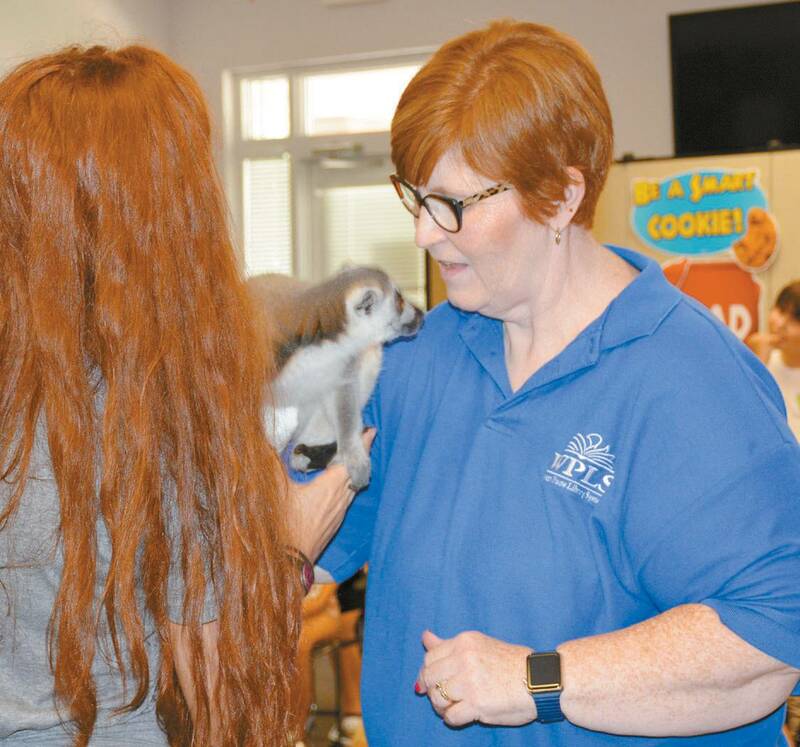 LIBRARY…Charlotte Nance enjoys one of the animals at a recent library program. Change is coming for the Minnie R. Slief Library in Cheyenne. Charlotte Nance has been with Western Plains Library System for 3 years as the Librarian in Cheyenne and also holds the title of Instruction Coordinator. During that time she has supported the library and formed bonds with the community. Recently, Charlotte was offered and accepted the position of Library Manager at the Weatherford Public Library. She may be leaving Cheyenne, but she won’t be leaving WPLS or going far, only a phone call away! More than a Pair of Shoes!